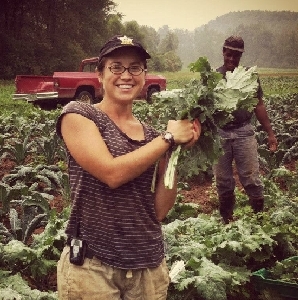 National Young Farmers Coalition | Farmers Taking a Stand Today to Save Local Farms! Farmers Taking a Stand Today to Save Local Farms! Today is the National Day of Action to Save Local Farms! Across the nation, thousands of activists are standing up against unreasonable food safety rules that threaten the future viability of small and local farms. “We’re always looking to make sure our food is healthy and safe, and we believe that small farms are part of the solution to healthy, safe food–not part of the problem!” – Hannah Breckbill, Farmer at Humble Hands Harvest and organizer of event in Eyota, MN. 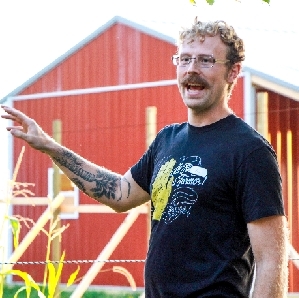 “FSMA has the potential, as written, to derail most everything I’ve spent the last five years of my life working for… Not only will this impact my livelihood and way of life, but it threatens the very nature of regional food sovereignty.” – Alex Bryan, Farmer at Food Field and organizer of event in Lansing, MI. It isn’t too late if you still want to organize. Click here to learn more about hosting a letter writing party between now and November 5th! You can also take time today to submit a comment on your own. Click here to learn how.